A Sussex Police officer has been charged with dangerous driving after a collision involving a pedestrian, the police watchdog said. 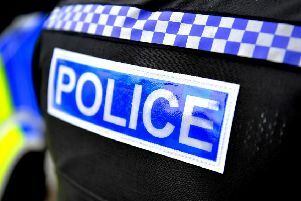 The Independent Office for Police Conduct (IOPC) said the officer is set to appear in court following its investigation of a collision involving a police car and a man using a pedestrian crossing in Brighton. An IOPC spokesperson said: “PC Russell Kyle is scheduled to appear at Brighton Magistrates Court on June 28, 2018 to face one charge of dangerous driving. “On September 19 2017, shortly after 6pm, a man was struck by a police car on Kings Road, Brighton. “The man, aged 59, suffered broken ribs and cuts to the face. “The incident was referred to the Independent Office for Police Conduct on September 20 2017 and an investigation was launched. We completed our investigation in March 2018 and referred a file to the Crown Prosecution Service who authorised the charge.